Here is my latest UCCW Theme creation. 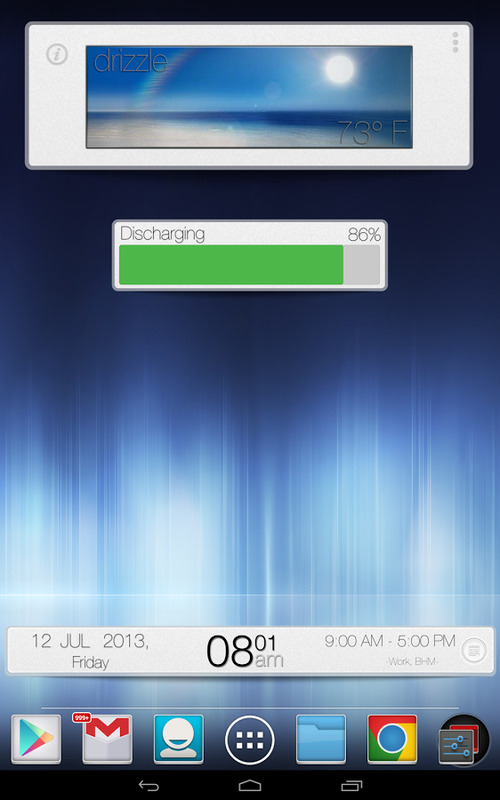 It's called Minimal UI, and it is not just one skin, but rather a set of three UCCW Widgets. The three Widgets, named MinimalBattery, MinimalStrip, and ThickBannerWeather, all contain the same base theme, but are completely different in their structure and function, (ie. no overlapping elements). These skins were designed and created for xhdpi & xxhdpi devices, so it will look best on higher end devices. I don't recommend installing on low resolution or small size screen devices (<4.7in), you just wont be able to read the info contained in the widget, sorry. I've uploaded screenshots from my GNex, Nex7, Nex10 devices, please refer to them to see what to expect on different resolution devices. Each widget contains numerous hotspots, that are pre-configured for standard shortcuts, but as always they are editable to your liking. So enjoy, and please don't hesitate to let me know if it needs any tweaking, or if anyone has any suggestions or requests. So please enjoy. *IMPORTANT- THIS IS NOT A STAND-ALONE APP! 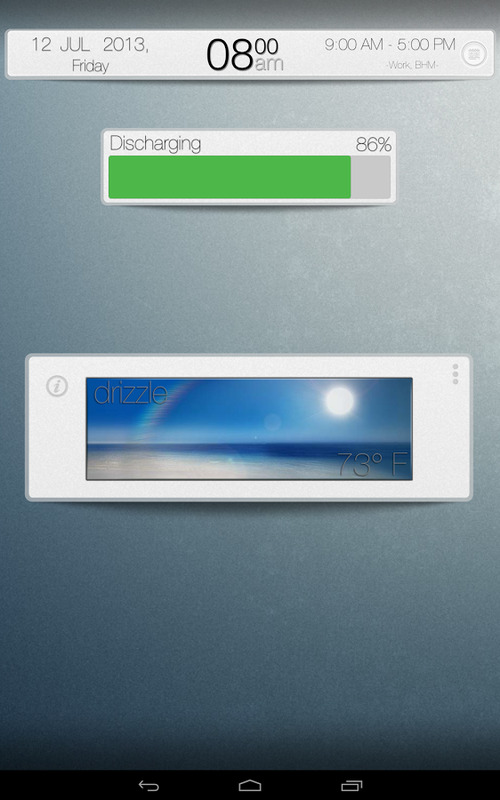 YOU MUST HAVE UCCW INSTALLED. 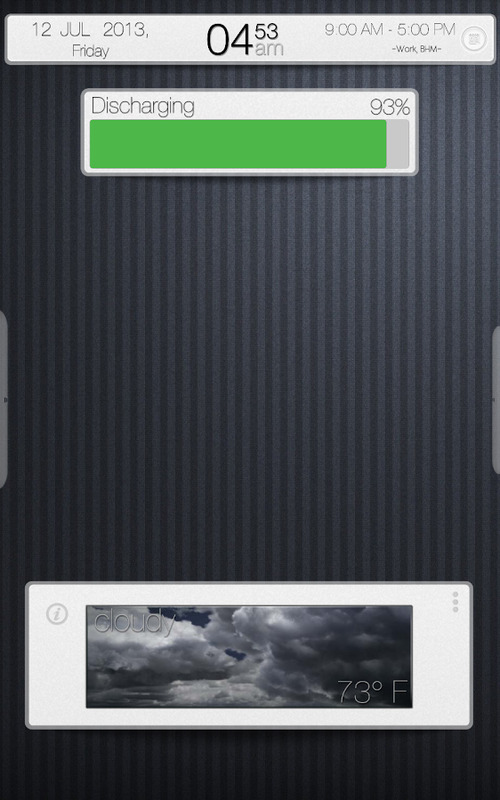 app available on the market, just search UCCW.